Merry Christmas and Happy New Year 2016. Two snowman in winter on red background. Merry Christmas and Happy New Year 2016. Two snowman and Cherry in winter. 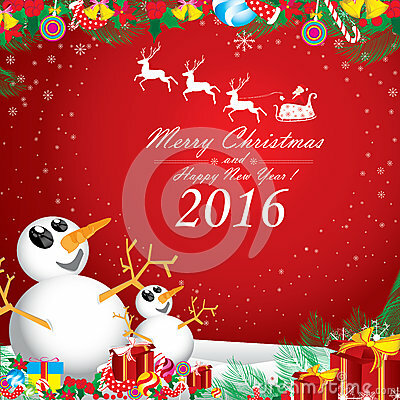 The white snow and white reindeer on red background. Santa Claus and Christmas gift.